The “Smart City Symposium 2017 – My Smart City” is a “sequel” of the “Smart City Symposium 2016 – Smart City Smart AEC” successfully held last year with the support of the HKSAR Government, U.S. Consulate General, Hong Kong Science and Technology Parks Corporation and Smart City Consortium. The Symposium will continue to be a meeting place for about 300 policy makers and public administrators, academics and business corporations, research and professional institutions, industry leaders and startups that come together to share knowledge, generate discussions, create synergies and inspire actions to support the transformation of our cities towards the provision of better living conditions. The symposium will be held on 8 June 2017 at Function Room, Level 3, Core E, Cyberport 3 Hong Kong (link to map), with English as a medium of communication. The participation of the symposium can be counted towards 6 CPD hours, as participants will gain invaluable rewards throughout the process of undertaking the event. *CPD Hours entitlements will be updated in the website periodically, please come and visit our website from time-to-time. Mr Yang was the appointed Secretary for Innovation and Technology of the fourth-term Government of the Hong Kong Special Administrative Region on 20 November 2015. The Innovation and Technology Bureau is responsible for policy matters on information technology, as well as innovation and technology. Mr Yang graduated in 1977 from the California Institute of Technology in the United States with a Bachelor of Science in Electrical Engineering and Applied Mathematics. He pursued further studies in Stanford University and obtained a Master of Science degree in Electrical Engineering in 1978 and a Master of Business Administration degree in 1982. Mr Yang worked as a senior design engineer for Intel Corporation in 1978 and subsequently as a strategic management consultant for Bain & Company. Returning to Hong Kong in 1983, he joined Shell Electric Mfg. (Holdings) Limited as its Executive Director and Deputy Group Managing Director. He was the senior consultant and the director of several venture capital and private equity investment firms in 2002. Mr Yang was appointed as the Chief Executive Officer of the Hong Kong Cyberport Management Company Limited in 2003 and was an Executive Vice President of the Hong Kong Polytechnic University from 2010 to February 2015. In March 2015, he was appointed by the Chief Executive of the Hong Kong Special Administrative Region Government as Advisor on Innovation and Technology, and a Non-official Member of the Executive Council which is the Chief Executive's top advising body. 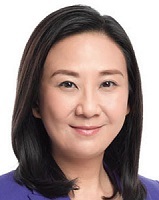 Hon Elizabeth Quat, JP, is a Legislative Council Member, an IT professional, Chairman of the Legco IT and Broadcasting Panel. She founded numerous non-profit organizations and professional bodies, including the founding of “Internet Professional Association” in 1999, “e-Health Consortium” in 2005, “Energy Saving & Environment Concern Alliance” in 2007, “Green ICT Consortium” in 2009, “Love-Family Foundation” in 2013, and “Smart City Consortium” in 2015. From both inside and outside the Council, she strives to promote Hong Kong’s economic development, innovation and technology development, and devoted her efforts in policies particularly related to women and family affairs, security, and environmental and animal protection. Elizabeth is a recipient of the “Ten Outstanding Young Persons Award” and “Ten Outstanding Young Digi Persons Awards” in 2001, “The Most Successful Women Award” in 2002, and “Hundred Outstanding Women Entrepreneur in China Award” in 2006. 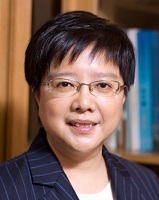 She was elected as member of the “Information Technology Sector in the Hong Kong Election Committee” in 2006 and 2011, elected as Member of the Sha Tin District Council in 2007 and 2011, appointed by the Chief Executive of HKSAR Government as Justice of the Peace in 2010, and elected as Member of the Legislative Council of the HKSAR representing New Territories East in 2012 and 2016. With a PhD in Science from the University of Hong Kong, Dr. Winnie Tang JP has over 20 years’ experience in the industry of Information and Communications Technology (ICT) and is the Founder and Chairman of Esri China (Hong Kong) Limited, one of the international offices of Esri. Esri is the top 50 software companies in the world; it is expert in Geographic Information System (GIS) technology which is extensively adopted in both public and private sectors across the globe. 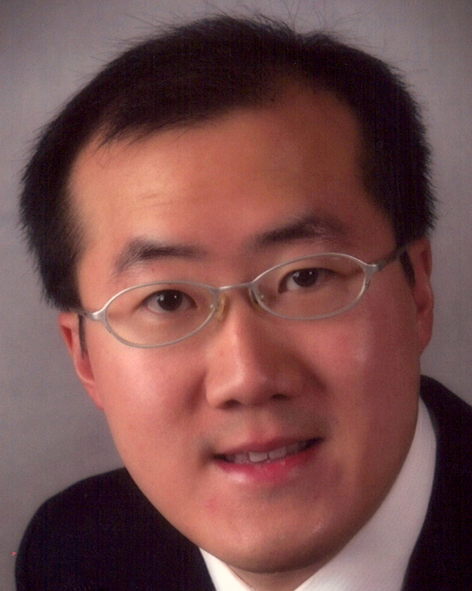 Over the years, Dr. Tang promotes technological and social developments by writing articles and serving the society. She also shares her views regarding smart city and entrepreneurship to instil in positive attitudes to the community. She has published 6 Chinese and English books and over 200 research papers, newspaper articles and journals to date. Some of her current major appointments include Member of Election Committee (IT Subsector); Advisor of Our Hong Kong Foundation; Founder and Chairman of Steering Committee of the Smart City Consortium; and Board Member of AeHIN (Asia eHealth Information Network) etc. In recognition of Dr. Tang’s works, she has been awarded the Distinguished Alumni for HKU Faculty of Science in 2009, the Ten Outstanding Young Persons in 2006, the Women of Influence – Young Achiever of the Year Award by the American Chamber of Commerce in 2004. Eric Yeung is currently the Executive Director of Skyzer VC Limited and he is also the founder of Skyzer Group. Eric completed his undergraduate study in the Department of Computer Science & Engineer of Chinese University of Hong Kong. He also obtained the Master Degrees of Business Administration (MBA) and the Science in E-Commerce. Skyzer group comprises four technologies & entertainment Houses that provides the best digital entertainments experience & innovative O2O business platform, which includes Golfzon Hong Kong, Atalon Ventures Ltd. (so-called “PongConnet”), Mini168 Holdings Ltd. and GameOn Stadium Ltd. The group places priority on organic growth and commits significant resources to develop its houses, as well as to encourage and protect creativity & innovation. Its business model is anchored in a long-term vision that builds on the innovative and stimulates creativity and excellence. This model drives the success of the Group and ensures its promising future. Rosana Wong leads the Group’s integrated business sectors and plays a pivotal role in formulating overall strategic planning. With over a decade of entrepreneurial experience, she oversees corporate business development, management of construction projects in Hong Kong, together with the expansion of regional and overseas markets, implementation of full life cycle management and Virtual Design & Construction. From building construction, IT solutions, MEP services, architecture and engineering, energy optimization solutions, precast and low-carbon building materials, curtain wall and steel works, to investment, property and hotel development. Rosana is driven by her passion for combining technology, innovation and science with sustainable ecosystem in energy and environmental systems, water sustainability, nanotechnology and digital fabrication, artificial intelligence as well as networks and computing systems. Under her leadership, Yau Lee has grown to be a forward-thinking and integrated green corporation on a global scale. Ir Allen Yeung has extensive experience in the ICT field. He held BSEE from the University of Texas at Austin, MSEE from Purdue University and Executive MBA from HKUST-Kellogg Northwestern University. As GCIO, his responsibilities include formulating ICT policies and strategies; leading the E-government programmes; promoting and developing ICT industry as key business and economy driver; and bridging the digital divide. Prior to joining the Government in July 2015, Ir Yeung was the Chief Corporate Development Officer of the Hong Kong Science and Technology Parks Corporation. Ir Yeung started his career in 1987 in the Silicon Valley, working for many hi-tech companies. In 1995, he relocated to Hong Kong to further his career development, and served in several senior management positions for multinational enterprises and Hong Kong listed companies. Ir Yeung has contributed significantly in promoting and developing the innovation and technology industry in Hong Kong and the region. He has served on many councils and advisory committees in the ICT industry associations, business angel networks, engineer professional bodies, as well as educational institutions. Prior to his current role at the RCA, Adrian was director of the MA programme at the Centre for Research Architecture, Goldsmiths and a research fellow in the Forensic Architecture ERC-funded project; studio master in the Projective Cities MPhil in Architecture and Urban Design at the Architectural Association; and director of the MArch Urban Design at the Bartlett, University College London. Drawing on nation building projects in the post-colonial period, early cybernetic forms of government and the mobilisation of climate research by the global south, Lahoud's PhD 'The Problem of Scale: The City, the Territory, the Planetary' sets out a theory of scale drawn from architectural practice in the context of emancipatory struggles. Recent exhibits include The Shape of the Eclipse at Let’s Talk about the Weather: Art and Ecology in a Time of Crisis Sursock Museum Beirut, Secular Cosmologies in After Belonging Triennial of Architecture Oslo, and Floating Bodies at Forensis: The Architecture of Public Truth Haus der Kulturen der Welt Berlin. 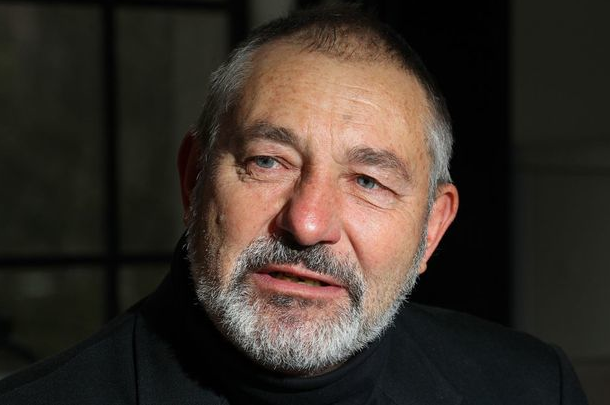 He has also contributed to Haus der Kulturen der Welt’s Anthropocene Curriculum and Technosphere projects. Stan Curtis is a business development executive, and entrepreneur. As a strategy consultant for IBM and Accenture, Mr. Curtis led practices in open innovation and platform-based development. Mr. Curtis helped launch the Smart Cities research at IBM still helps incubators advise startups on Open Data and the Global Cities Team Challenge. With a graduate degree in operations research from Berkeley, recent research has been featured at MIT-forum and Deloitte-trends for connecting Cities, Data and Citizens. Mr. Curtis is a founding member of IBM's Open Innovation Council and advisor to New York and Silicon Valley startups. Stan facilitated several IBM Global Innovation workshops. Recent workshops were featured in IBM Smart Cities research, GOSCON, CEOs for Cities, The Competitiveness Institute, the Congress for New Urbanism and a Masterclass with CK Prahalad. Mr. Curtis is active with Portland/Metro planning experts and is an advisor on Eco-Districts and CIB Task Force on Smart Cities (TG88). Akihiko Tobe started his career at Hitachi Limited in 1979. He was assigned to Omika Works. He had several project experiences as a system engineer of CAD Application systems, Data Base Management systems of plant drawings. In 1984 he received Master of Science in engineering from The University of Michigan. He then had various system engineering experiences of Stock Exchange information systems, Power industry OA systems, and so on. In 2002, he joined the ITS Telematics Business and CIS (Car Information Systems) business. In 2010, he served as Senior Manager of Smart City Business Management Division. He has experienced several projects of smart city developments over the world. Now he is the General Manager of Smart Society Division, Urban Solutions Business Unit in Hitachi, Ltd.
BIM Services Manager - Digital Engineering, MTR Corporation Ltd.
Mr. tewart Macfarlane (MSc) is the BIM Services Manager-Digital Engineering of MTR Corporation Ltd.
Stewart has over 15 years working in the building design and construction industry, with over 10 years involving BIM. Stewart was appointed to lead the MTR Corporation BIM strategy, building on the organisations extensive use of BIM in Hong Kong. Involved in many large scale infrastructure projects including HKIA Midfield Concourse and several MTR Stations, Stewart’s focus has been on design and construction coordination. One of the early professional members of the HKIBIM, he also sits on the panel for CIC BIM Standards in Hong Kong. Robert's current role as COO of EcoDomus focusing on Lifecycle BIM implementation for asset owners and major projects, market implementation, Asia Pacific Market expansion, M&A, China market optimization for companies not performing up to their global market share especially in IT, software, adoption and optimization of the platforms. Robert is a senior executive in the building and hi-tech sector for over 20 years across four continents in operational roles ranging from corporate process management consulting, sales and marketing to finance, from IT and broad based implementation of professional services. infrastructure projects globally. Guan specializes in providing strategic BIM implementation advice, execution, planning and management of BIM process of projects with different complexity, scale and type. As a Director, he has led and overseen GT Asia regional offices, and has implemented process changed on over thirty projects globally. Some of the high profile BIM projects he has participated include Project Jewel, Shanghai Disneyland Resort, Novartis Shanghai Campus, Sunrise Kempinski Hotel for G20, Galaxy SOHO, Pacific Place Contemporisation Project, MTR project, Dongdaemun Design Park and Plaza and many others. Guan has experience and knowledge in implementing construction process simulation, BIM procurement, tendering and contracting, design and construction assists, BIM-based cost estimation, BIM-based QA/ QC, BIM-to-Field, Field-to-BIM, UAV, Virtual and Mixed Reality. He is also responsible for promoting best practice in BIM-enabled IPD projects and has lectured at universities, conferences and industry organizations. With over 11 years’ experience at Trimble, Ben has been working at the forefront of Engineering & Construction technology on projects across the world. Trained as a Civil Engineer, Ben began his Trimble career working with the Quantm alignment planning system. Based in the UK he delivered project and consulting services on a number of significant infrastructure projects including: Moscow to Yekaterinburg High Speed Rail, Awash to Weldiya railway, Portuguese High Speed Rail Network, and many more. More recently Ben has returned to his home country of New Zealand, and the vertical construction industry. Working with the Trimble Buildings GC/CM portfolio of products to drive process efficiency, transparency, and BIM-based workflows across the Asia Pacific region. Simon has worked on various technical and product management roles within Mobile communication arena covering Greater China and North Asia market (including network infrastructure, system integration, apps ecosystem and smartphone product program). At HKT, he leads a team to develop and deliver enterprise mobile solutions projects to HKT customers leveraging on partners’ and HKT’s assets in Cloud computing, managed services plus Fixed & Mobile communication infrastructure in order to address customers’ pain points. His work covers OTT mobile apps, RFID, specialized mobile handsets, mobile network connectivity, cloud & hosting infrastructure and IoT ecosystem. Mr. Montler has over 35 years of executive management experience in the automotive and medical industries, Mr. Montler has worked in executive level in large multi-national companies, including Philips Medical Systems and DaimlerChrysler, as well as board positions and senior operational positions in several successful startups. Recruited after selling his previous company in high end medical service and sales, Mr. Montler served as President/COO of Global Electric Motors (“GEM”), driving the company’s growth from a start-up company in 1998 to its becoming the world leader in Low Speed Vehicles (LSVs). As such, he has experience developing new markets where the value proposition of LSVs can be realized. After GEM was purchased by DaimlerChrysler in December 2000, Mr. Montler continued with GEM as its President/COO until 2003, where the factory produced over 150 vehicles a day. In 2005, Mr. Montler was recruited by Porteon Electric Vehicles as Chairman of the Board and CEO. In December 2012, Mr. Montler became CEO of Global Electric Transportation, LTD and in 2014 CEO of Pangea Motors. Mobility Squared was formed in 2016 to be the nexus for purpose driven city vehicles with connected and autonomous technologies by working with partners and solution providers. Matthew Lesh leverages more than 20 years of experience in business development, program management, transportation planning, and public transportation operations and consulting to bring Coast’s portfolio of technology and self-driving vehicles to market. 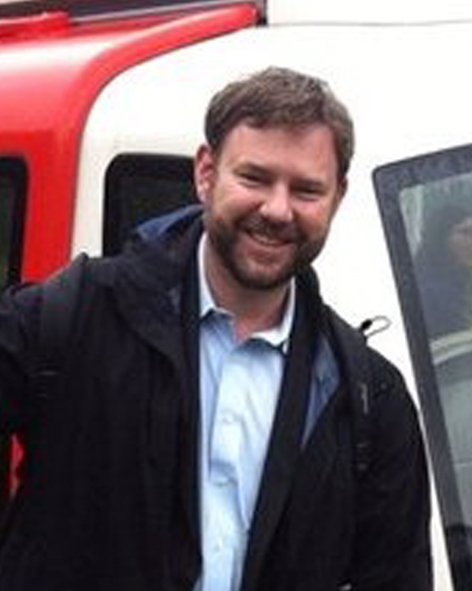 Prior to Coast, Matthew served as Director of Mobility Systems at Local Motors during the debut of Olli, the company's 12-passenger, self-driving shuttle. Matthew has also served as Manager of FTA’s Innovative Safety, Resiliency, and All-Hazards Emergency Response and Recovery Demonstrations Program as well as the Transit Investment for Greenhouse Gas and Energy Reduction (TIGGER) Program. Matthew has served as a subject matter expert on public transportation operations, policy and planning, mobility management, on-demand transport, mobility systems and the shared-economy as a consultant to the US DOT’s ITS Joint Program Office (JPO). Matthew also supported the U.S. DOT’s Accessible Transportation Technology Research Initiative (ATTRI) and Smart Cities programs, and is credited with developing the research framework for the Mobility on Demand (MOD) program. Chief Marketing Officer and Vice President Commercial Sales, 5D Robotics, Inc.
Bbased in Silicon Valley, California, Phil has a wealth of experience leading high technology companies across multiple vertical markets globally. He joined 5D October 2015 and serves as CMO & VP Sales. 5D is a precision navigation sensor and autonomous software company for unmanned air or ground vehicles. Here Phil has penetrated industrial, logistics, and smart city markets with 5D’s unique technology. Prior to 5D he served as General Manager at Microsemi for the System Division leading a $200M business in precise devices to service providers, enterprises, banking, and Government programs. Solutions ranged from instruments to mobile apps to SaaS. Earlier Phil led Symmetricom’s sales for 9 years before Microsemi acquired Symmetricom in 2013. As VP Sales Phil penetrated a broad suite of markets and solutions ranging from precise instruments, video analytics software, encryption, security, defense, and GPS. Phil holds a Bachelor of Science Degree in Electrical Engineering and Computers from Queen’s University, at Kingston, Canada. Job Lam holds a Bachelor Degree of Electronic Engineering and a MBA degree from HKUST. He joined IBM in 2001 as the Tivoli Products Specialist, he leaded the IBM Security Business Units, Greater China since 2014, he helped three of Big-Four Banks, leading network equipment companies in China to improve their Security standard and tools. With combined experience in the information security space and software, China and US, he was invited as a speaker/panel in workshop with Cyberspace Administration of China(中央網信辦), 首度網路安全日, US Department of State - Overseas Security Advisory Council to share his view on major CyberSecuirty challenges in the region. Simon is a Partner in PwC’s Infrastructure practice in Hong Kong. He has over 20 years experience assisting clients with infrastructure development and strategy. He has advised Governments, bidders and lenders on how best to develop key projects and urban developments in Hong Kong and China, Europe, the United Arab Emirates, India, Central Asia, Africa, Canada and Japan. Simon advised the UK Government on their strategy to promote the competitiveness of London, relative to Paris, Tokyo and New York. He has also advised numerous Governments on the economic competitiveness of regions and Cities, and developed strategies for investment promotion. Most recently, Simon worked with the Hong Kong Government to consider the competitiveness of the professional services sector in Hong Kong, with respect to growing regional competition. Simon has also held positions in the UK Government, where he worked as an advisor to the UK Chancellor of the Exchequer. He was responsible for assessing the impacts of new and existing regulations on UK businesses, and for making recommendations around regulatory reform to promote the competitiveness of UK business. He also acted as the Senior Financial Advisor to the UK Government to refinance critical infrastructure assets following the events of 9/11 and to support the expansion of London Heathrow Airport. Simon also sits on the Business Policy Committee of the British Chamber of Commerce in Hong Kong. He holds undergraduate and Masters degrees in Economics. Law's research interest is in the application of advanced computing principles and techniques for structural engineering analysis and design. His research interests include computational mechanics, numerical methods, and analysis and simulation of large-scale systems using distributed workstations and high performance parallel computers. His work has also dealt with sensing, monitoring and control of structures as well as various aspects of computer-aided design, including application of information technology to facilitate regulatory compliance assistance, to facilitate analysis and design of building structures and to coordinate concurrent engineering design activities. Dr. Calvin Kam, AIA, PE, LEED AP, is the Founder and CEO of Strategic Building Innovation - bimSCORE—the "GPS Navigator" for any enterprise or project team charting a course for construction innovation. Dr. Kam is the Director of Industry Programs and an Adjunct Professor at Stanford University’s Center for Integrated Facility Engineering (CIFE), where he specializes in strategic innovation such as Management Scorecards, Building Information Modeling (BIM), Virtual Design and Construction (VDC) and Sustainable Developments. Since 2003, Calvin has been a Co-founder and currently the Senior Program Expert of the National 3D-4D-BIM Program with GSA Public Buildings Service. Since 2011, the Singapore government’s Building Construction Authority has appointed Calvin as an international expert to advise its construction productivity and BIM roadmap; Since 2012, China National BIM Standards and National BIM Union have appointed Calvin as the only international Honorary Director. Calvin is also a Principal Investigator with Disney Research China. Elected by the Knowledge Leadership Assembly of the American Institute of Architects (AIA), Calvin serves on the 2013-15 AIA Board Knowledge Committee as well as the International Practice Committee with AIA National. Calvin was the 2011-2014 National Co-Chair of AIA Center for Integrated Practice, and the 2010 & 2011 National Chair of AIA Technology in Architectural Practice (TAP) Knowledge Community. Dr. Kam was a recipient of various AIA, ASCE, SOM, Stanford University Fellowships as well as Engineering News Record’s “20 under 40” awards, and the inaugural Junior Alumni Award from USC Department of Civil & Environmental Engineering among other honors and awards. Calvin is a registered Architect in the State of California, a Professional Engineer in the District of Columbia, and a LEED Accredited Professional. Gábor Bojár is one of the few entrepreneurs of Central-Eastern Europe to succeed in global business already in the years of state-socialism. With a degree in physics founded his own software development firm in 1982. Graphisoft today is a leading BIM software vendor globally with its ArchiCAD®, used by hundreds of thousands of architects all over the world. In 1996, Mr. Bojár founded a science park by re-cultivating a run down industrial site on the bank of the river Danube, accommodating the research units of corporations including Graphisoft, Microsoft, SAP, Servier and others. In 2007 Mr Bojár established a highly competitive school of information technology for an international student body. Mr. Bojár was distinguished by numerous national and international awards for scientific and business excellence, and invited speaker of several prestigious events including the Davos World Economic Forum. As National Technology Officer at Microsoft Hong Kong, Fred Sheu supports policy decision and delivers technologically relevant and scalable solutions into Hong Kong market. His main objectives are to align IT value propositions to public policies in such areas as healthcare, education, the environment, and local social and economic development; and to promote a digital agenda in top policy areas, including innovation, security and privacy, technology neutrality, accessibility, and interoperability. PDr. Renu Bhatia is Chairman and Co-founder of Sonikure, Technology, which has developed a non invasive drug delivery platform for the eye. She is also a Co -founder of Asia Fintech and Founding Partner of Supercharger. She has extensive experience in investment banking, asset management and private investments, having worked at Goldman Sachs in New York and HSBC in Hong Kong. Renu is well versed in start ups having started ChinaMD, and Paywise. She is a Board member of Yintran, and an advisor to several startups. She is and a private investor in Life Sciences, Healthtech and Fintech. Renu is a member of the BPF healthcare committee, and is Chairman of the Smart Healthcare Special Interest Group at Invotech. She is part of the Fintech Steering Committee at the Hong Kong Chamber of Commerce, and is a Board member of TIE (HK). Renu is a licensed physician has an MBBS from the University of London and an MBA from Yale University.